To launch world peace all warring has to stop, and if necessary we have the means to ensure that it does. There is absolutely no place for such low vibrations in the New Age. It is in fact somewhat easier to achieve success now, as the rising levels of consciousness are resulting in more souls rejecting anything to do with war. Even some of those hardened veterans are ready to change track and see the virtues of working for peace. They are beginning to see that their calling to protect their homeland, has been insidiously used for ulterior motives. When such people start to awaken to the truth, you know that the Illuminati is rapidly losing its power and control over the armed forces. They are indeed a spent force to what they were, and will not be allowed back. In your immediate future you will not in fact need armed forces at all, but will have systems of protection to keep away unwanted intruders from your Earth. There is also our Galactic Federation of Light that acts as the policeman of the Universe. Our technologies are such we can easily detect craft entering the space of another planet. If the need arises we can move around faster than the speed of Light, and have our responsibilities for different sectors of the Universe. 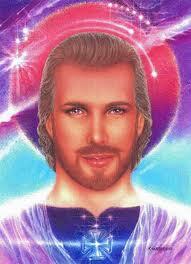 There is also the Ashtar Command that also works very much like we do, and have their own particular responsibilities. All in all every planet is well protected and their people can live in freedom and peace. Your old Earth has also been protected against interference, so as to allow your free choice evolution. However, with such low vibrations we had to allow similar civilizations to contact you. When you have passed through the coming point of Ascension you will also be open to visitors of a similar vibration of Love and Light. As such you will be able to trust them, and enjoy learning of how other civilizations live. You will have great experiences visiting other planets, that are of a mixture of sizes and sometimes larger than your present Sun. Most advanced civilizations find it more acceptable to live inside their planets, and most are hollowed out for that reason. As with your Inner Earth Beings, they have their own Sun and you would not necessarily know you were underground. They are more evolved than you are will very soon choose the right time to make themselves known to you. They are your ancestors who escaped to the Inner Earth with the demise of Lemuria. Some of your own people have visited them in comparatively recent times, and their stories are still able to be found. There is so much knowledge that has been deliberately held back from you, and you have a lot of catching up to do after Ascension. No longer shall you be kept in the dark and told falsehoods, and as you often say, “the truth shall set you free”. The time warp you have been kept in is breaking open, and we shall help you identify what is truth or otherwise. If some people are sceptical we have the means to prove what is given to you as the truth. We do not impose it upon you, and some will still hold fast to their false beliefs. That does not matter, as in time only the truth will be able to exist. You have your own Hall of Records and that covers all of your lives, so there cannot be any dispute where they are concerned. They are used when you have your life review after each incarnation, which is a sobering thought for some people. Believe us Dear Ones when we say that we are not so serious about life that we cannot joke and have fun. We live our lives in joy and our bonding becomes closer when we can share humour. Of course we do not have your worries or concerns, but you can lighten up your day and that of others by having a good laugh together. Laughter is Universal and all souls have the inner understanding to appreciate a funny situation or comment. Laughter is so uplifting and raises the spirit and the vibrations. However, good fun does not gain laughs by ridiculing someone. At heart you are all still children but you acquire a measure of aloofness, as you grow up because you consider yourself beyond what you call childish fun. Let yourselves go and become that child again, and see the funny side of life. You are so near to seeing the first signs of big changes to come, and our allies are working hard to create the opportunity we seek to join them. They know what their responsibilities are, and are dedicated to serving you to enable the final push towards Ascension. It will of course happen anyway even if it means that some events are put off for a while. However, certain changes carry more importance than others, and we are seeking the first indications of Disclosure being announced. In one sense as it is generally known that we exist and are with you now, you may not see any urgency involved. Yet we need that acknowledgement from your authorities, so that we can at last come into the open. We still have the option of forcing the issue but that would be our last course of action. In all respects we would rather that you were the ones who brought about Disclosure through your own efforts. To be fair you have pleaded and petitioned your leaders so many times to go ahead, but so far none have had the temerity to do so. We appreciate a cautious approach, but now is the time to throw caution to the wind and announce what a large section of the public already know. Regardless of what happens we are still making ourselves seen more often, and are pleased that we are accepted without the fear that once existed. We feel that you are ready to greet us, and that is speeding up our response. I am SaLuSa from Sirius, and bring the wishes of the Galactic Federation of Light, that you should all spread your love throughout the world. There can never be too much, and you will help it grow exponentially at a time when you are almost ready to ascend. The Earth is presenting a wonderful display of Light that is coming from you all, and it shows how well you have responded to the call to prepare for Ascension. You have had much help and it was never intended that you should face the challenges alone, and so it shall be as you make your way through to the higher dimensions.